Please join in for our virtual meet & greet! Whether you are a business owner, career professional or both, you will benefit from this power hour of networking. 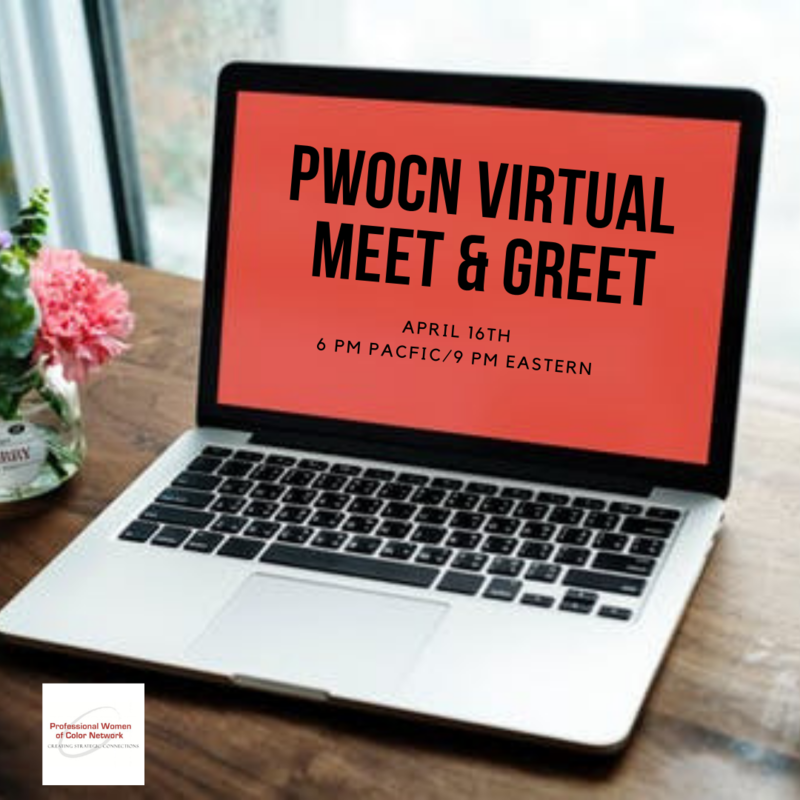 What is a PWOCN virtual meet & greet? It is an awesome opportunity to introduce yourself, share any of your current projects, talk about your needs, share your expertise, and make some great contacts with other like-minded women like you from the comfort of your home or office! How does the meet & greet work? Facilitated by PWOCN Founder, Meko Lawson, you will get some quick tips on making the most of networking online and learn more about upcoming events and opportunities. After that, the connecting begins. Each attendee will be matched to a small group and have the chance to go deeper in our strategic connections breakout rooms. This is the time to share your contact information and exchange expertise, advice or referrals. Our virtual meet & greets are great informal, low pressure ways to begin to know our online community and activate the network! Sign up to receive log in details.